It is very important for you to Bring any recent x-rays, CAT scans and MRI studies. If these are not in your possession, try to obtain copies on film or CD from the hospital or doctor's office where they are kept. Having those studies available will make the initial office visit more productive for me and valuable for you. Not having them can delay formulating a proper treatment plan. If you have been referred because of a fracture I cannot see you without x-rays. It is always helpful if you can provide a complete list of any prescription and non-prescription medications you are taking, including their dosages and frequency that you take them. The following are insurance plans that I have contracted with. I can see patients with other insurance plans if special authorization has been received from the insurer. This is usually arranged through your primary physician. As a precaution, each patient should call their insurance carrier to be sure I am a contracted provider. I do not see any new Worker’s Compensation patients, unless there are unusual circumstances. I found the review and authorization process that they installed to be contrary to how I want to practice medicine. We do accept major credit cards for payment of services and co-pays. When I am the designated On-Call Orthopaedic surgeon for the emergency room at Sutter Medical Center, Sacramento, or Mercy General Hospital I have agreed to see patients referred to me from the ER regardless of their insurance status. If you were seen in the Emergency Room when I was the On-Call Orthopaedic surgeon, and were told to call my office for a follow-up visit, please let the office staff know this when you call to make an appointment. If you have an insurance plan I do not contract, you may be able to contact your primary care physician to be referred to an orthopaedic provider within your plan. If they are not able to do that, I will see you. I will send a bill to your insurance carrier, or you may pay in the office. No Emergency Room referred patient will be refused care. If you have a Fracture, look here. 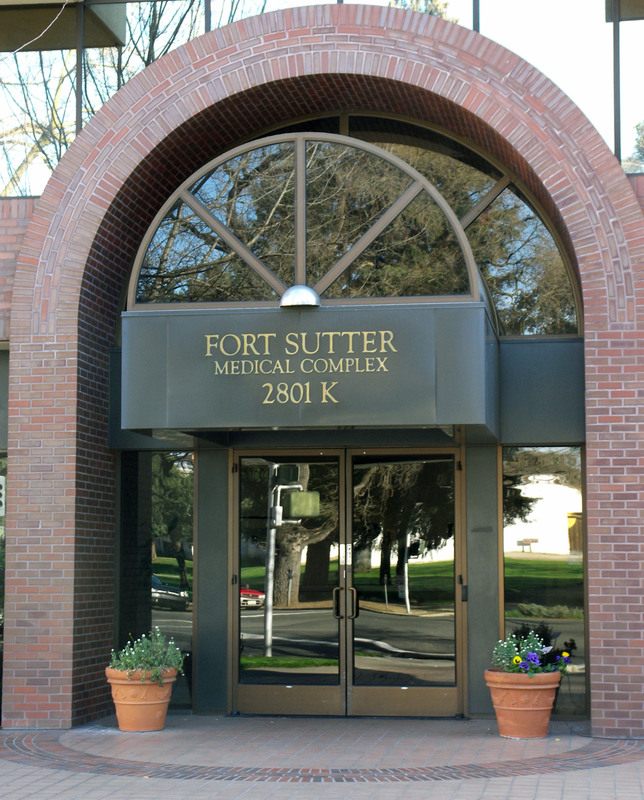 My office is located on the 5th floor of the Fort Sutter Medical Building, across the street from Sutter General Hospital, and caddy-corner across from Sutter’s Fort. I share this office with three other orthopaedic surgeons. They are Dr. Mark Endicott, Dr. David Tai, and Dr. Howard Shortley. The office is located along a corridor that can be reached by taking the elevator in the west end of the building (the end closest to Sutter’s Fort and 28th Street) to the 5th Floor. Parking is available in the Fort Sutter Medical Building. Be sure to keep track of which level you park on as the lot can sometimes appear confusing. There is also metered street parking in the area, but that can sometimes be difficult to find. 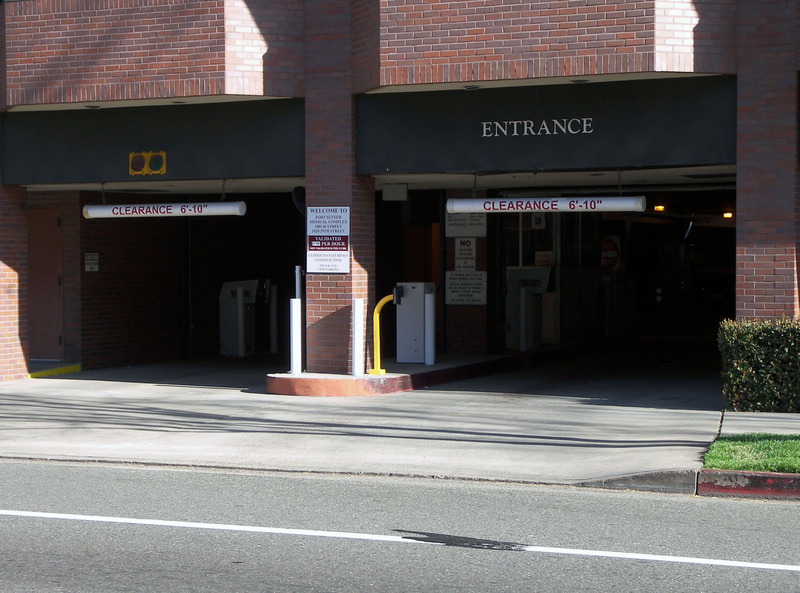 The Parking Entrance to the building is located on K Street. It is easiest to access by driving West on K Street, and then make a right hand turn into the Parking Entrance. For Detailed Driving Instructions Click Here. I understand that your time is valuable, and you should know that mine is also. Should you be delayed or need to cancel your appointment, I would appreciate your contacting my office staff to let us know about that. Each patient has a unique problem, and some require more time to deal with than others. It is not always possible to be exact in planning appointment times. Some office visits can be completed rather quickly. There are other instances when a patient may require an extended period of time during their appointment, and that may cause delays for patients scheduled subsequently. I would just ask if you are waiting to understand that at some time you may be the patient who requires more of my time, and you would not want to be treated too brusquely. When you come into the examination room or cast room in my office, I am the person you will see. I do not have nurses, physician assistants (PA) or cast technicians to do my work. I put on and take off all of my patients’ casts, change all dressings, and remove orthopaedic pins and wires, skin staples and stitches. I enjoy doing these activities, because this is all part of taking care of you. I know when I put on a cast or dressing that it is done the way I want it to be. I also find that during the time I spend doing these activities I can answer questions you may have about your condition and treatment. As of March, 2014 I have a relationship with Wright Medical Technologies, Inc. as a paid consultant for Biologic, Ankle and Foot Products. I am an owner with a partial share in the Sutter Alhambra Surgery Center where I perform surgical procedures weekly.